The Road Less Travelled: Puzzle Update, Thank You, & Post Your Links! 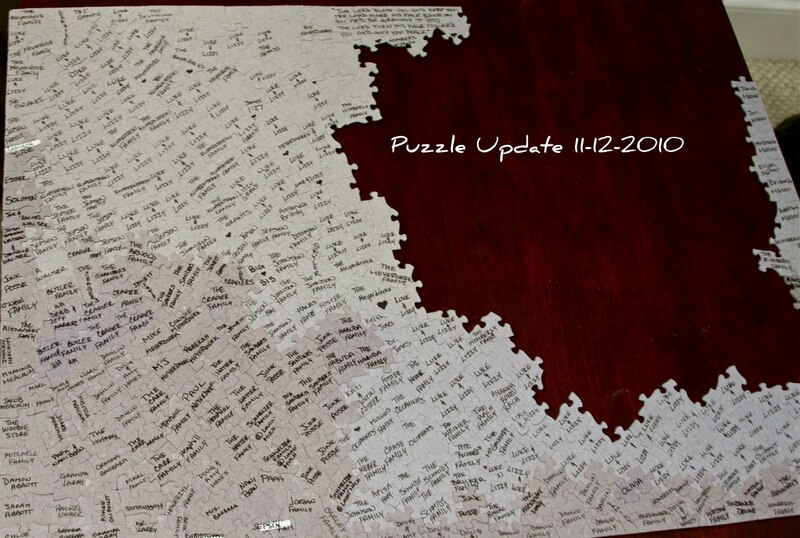 Puzzle Update, Thank You, & Post Your Links! A great big THANK YOU to all who have donated and continue to donate towards bringing our little girl home. We're close to reaching our $3,000 goal with Lifesong. Every little bit counts, we are so thankful for each one of you! 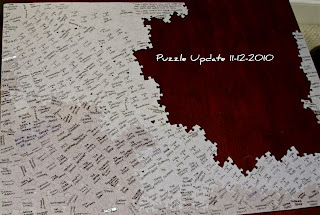 We only have about 150 more puzzle pieces to sell! Isn't that AMAZING!?!? God is SO good! Precious friends donated to our lifesong account and asked that we write this verse. I love it. Happens to also be Davids favorite verses which makes it all the more perfect. For those of you that are fund raising like us - don't forget to add your links to our Christmas Shop Hop Linky Post! We want to give you a chance to share your story and to give others the opportunity to come along side and support YOU and your adoption as well! So check out the link below for more info! Wow...it's almost done!! So awesome! Erica, thanks for doing a shopping link. I am planning on revealing our newest fundraising item on Sun--you still have time to guess and win--and will do a link post on Monday to your blog. I know these shopping links have helped us sell our "got love?' gear. What a blessing! !